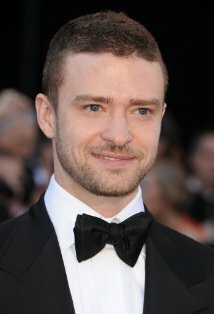 Justin Randall Timberlake was born to Lynn Harless and Randy Timberlake on January 31, 1981, in Memphis, Tennessee. At the age of 11, he appeared on the show "Star Search" (1983), and even though he didn't win, it didn't dampen his ambitions. He also appeared on "The All New Mickey Mouse Club" (1989), where his costars included Britney Spears, Ryan Gosling, Keri Russell, Christina Aguilera and future band-mate J.C. Chasez. At age 14, Justin became a member of the boy band *NSYNC. In 1998, the group released their self-titled debut album. They became a big hit with fans and made a place for themselves in the music world with a succession of big-selling albums. In the beginning of 2002, Justin spent time working on and writing songs for his debut solo album. During this time, he broke up with his longtime girlfriend, Britney Spears. The release of the solo album, titled "Justified", came in November of 2002. Songs from his solo album include: "Like I Love You", "Cry Me A River" and "Rock Your Body".Timberlake has branched out into an acting career, having most recently starred in The Social Network (2010), Friends with Benefits (2011), and Trouble with the Curve (2012).